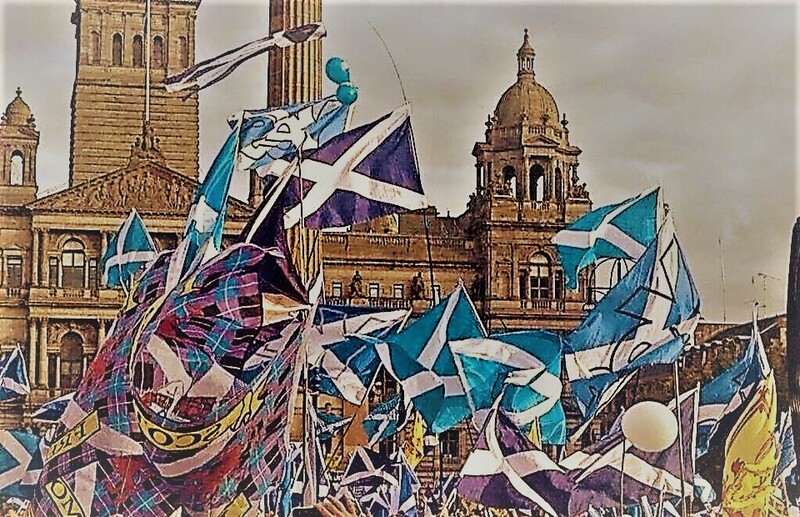 On this day four years ago, Scotland went to the polls to vote in a referendum on its independence and, by a majority of 55% to 45%, decided to remain in the United Kingdom. A lot of water has passed under the bridge since then, the details of which I won’t get into in this post (this isn’t a politics blog, after all). Nonetheless, I wanted to post something today which reflects on this significant date for a moment. For someone who campaigned heart and soul for something which they believed in (and still believe in), but ultimately fell short in achieving, today is a weird sort of day. Quiet, reflective, moderately restless – that’s how I’d describe September 18th for me now. Which is a long way from the shock, the tears and the grief of those early days following the vote. Time is, after all, an odd sort of medicine. I have written previously in my blog post The Safe Space about my own referendum experiences and how they ultimately moved me to write my third novel, Ethersay. Ethersay is my first (and to date only) contemporary novel. In many ways, it is different to my other books – different genre, entirely different subject matter. But it is also in keeping with what I like to write about – ordinary people, caught up in extraordinary times. Academically, intellectually and creatively, I have always been fascinated by thinkers and ideas, by movements and counter-movements, by challenges to the social/political status quo of any era, by rebels, radicals and philosophers. As a student I always gravitated towards subjects which could satisfy these interests – renaissance and enlightenment, political philosophy, witchcraft theory, to name a few. However, of equal interest for me are the emotional and psychological effects of the great stories of the ages – as a writer, I am attracted to the human tales which are always tucked away, obscured by the headlines or the history books but waiting to be discovered or re-imagined. My first novel, The Gisburn Witch, is essentially about recreating the life story of a name – Jennet Preston. It is about lifting her from the pages of history and making her flesh and blood, giving life to her hopes and desires, her fears and disappointments. It is about filling the gaps which history, for the most part, cannot address – as a writer, I wanted to get to the crux of what this ordinary person, Jennet Preston, went through, and what it was like for her to be caught up in such turbulent times. My motivation was exactly the same for the other Jennet, Jennet Device/Sellers, and my other two Witches of Pendle novels, A Woman Named Sellers and The Pendle Witch Girl. When it came to writing Ethersay, my motivation was similar too. I really wanted to explore the impact of that momentous, exciting, watershed moment in Scotland’s history on ordinary lives. Unlike my Witches of Pendle novels, however, the subject matter was a couple of years ago, not four hundred; it was much more immediate, personal even. That’s not to say that Ethersay is biographical (it’s not), but I had lived and breathed this period of time myself, I had known what it was like to hope and to strive, to lose and to lament. As the old adage goes, it’s best to write what you know, and in terms of first-hand experience, there probably isn’t a time I know better. So for me today is about reflecting on that time, about remembering and undoubtedly, about wishing things were different and knowing what I’ll do next time the opportunity comes around! Something tells me I won’t have too long to wait.